Most of us are going to put our contact information at the top of our résumé without giving the information much thought. We know our name, address, phone number, and email address, so there isn’t much to think about. Unfortunately, some of us unwittingly include or exclude information that may put us at a disadvantage. Once we head our page, many of us plunge into the details of work history without outlining or strategizing first. This, too, may put at a disadvantage. The ideas below may strengthen your résumé, before you even start discussing your background! Start Your Résumé as you Would Start Any Other Writing Assignment. 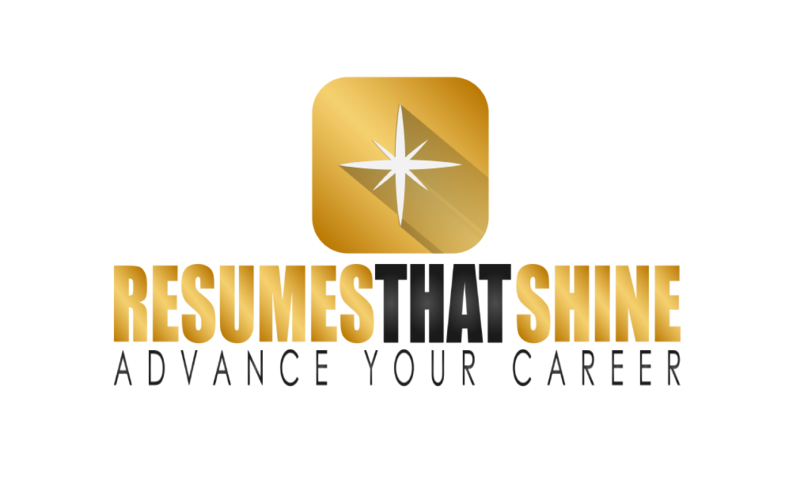 Job-seekers we work with often have difficulty composing their own résumés because they get bogged down in the details. They get stuck trying to figure out how to summarize their work experience, describe a specific job, or include education before they have created the overall structure of their résumé. You are less likely to get stuck if you build your résumé from an outline the way we were taught to do any writing assignment back in high school or college English classes. Head your paper, put down your major headings, then start filling in information under each heading the way most of us were taught to write in school—and ignored. We’ve used this approach to write thousands of résumés. It works. Head Your Paper with Contact Information. The first thing we were taught when we did a writing assignment for school was to head our paper. Do the same thing for your résumé. We should head our résumé page with our name, address, telephone number, email address, and sometimes Web addresses. Start by putting your name on the top of the page in the center, using a large font size, as it done in one of our examples. This is not an issue for most of us, but I’ve found job-seekers hit a snag here occasionally. Use the name on your photo ID to avoid issues at interview. Nicknames, screen names, or other kinds of “handles” should be avoided. In my view, though, it is permissible to show the version of your name you use at work in quotes. For example, “Robert ‘Bob’ Jones” would be okay. A young woman in one of our résumé classes several years ago encountered a problem because she commonly spelled her last name one letter differently than the name on her photo ID. Her potential employer used this as a reason to deny her entry for an interview because, she was told, he could not verify her identity. Occasionally, issues arise related a job-seeker’s address. We may call more than one place “home,” or we have a street address we would prefer not to share. Some job-seekers prefer not to share their apartment number or zip code. Others would rather not list an address at all. It is wise, in general, to place your full local address on the résumé. Employers expect to see addresses on résumés, and their software is programmed to look for addresses. So, ATS systems may not pass along a résumé with no address to the hiring manager. Even worse, the on-line application interface probably won’t let you post your résumé at all unless you provide an address. Some job-seekers feel they should not share their zip codes. They fear employers “redline” certain zip codes because they cover lower income or high-crime areas, or perhaps house a high percentage of ex-offenders. There is little point in trying to hide your zip code. We can, put an address into Google or the USPS Web site, and get a zip code, ATS systems can easily reject résumés without zip codes, or simply fill in the zip code. Apartment numbers are another matter. Chances are, ATS systems you have to use will accept an address without an apartment number, because apartment living is uncommon in some parts of the country. So, it isn’t a problem if you want to keep your apartment number a deep, dark secret. You probably won’t miss any job search correspondence because it is being sent electronically, anyway. It is essential, on the other hand, to include a telephone number where you can be reached or where you reliably receive messages. Potential employers will probably call, rather than email, you because they want to hear your voice and manner of speaking. This will be their first clue whether or not you are a match for the job. First, make sure the phone number you put on the résumé works. If you get a new cell phone with a different phone number, remember to change the number on your résumé. Next, make sure the voice-mail message on the phone number is professional. Do not play music in the background because you do not know the potential employer’s musical taste. Suppose you enjoy classical music but the employer’s representative does not. He or she may hang up the phone without leaving a message. You’ll never know why you were screened out, and may not even know the employer called you. Avoid having children’s voices on your outgoing message for a similar reason. A TV magazine show spoke with a former HR person that was directed to recruit only ‘kid free” employees. She put photos of children on her desk—they were not hers—to elicit information about applicants’ children. In other words, a potential employer may (illegally) screen you out based on a sweet outgoing message your niece made for you, but you’ll never know the manager called. Some job-seekers want to put multiple telephone numbers on their résumés, but this can also be counterproductive. Employers are not going to chase you from one phone number to another. Pick one number you check frequently, and that works reliably. It is now essential to put an email address on your résumé. You won’t be able to complete any online applications without an email address, because virtually all of them use your email as part of the logon or validation process. Smaller or less sophisticated employers, such as non-profit organizations and some public agencies, may only accept résumés via email. The employer’s computer won’t care what you use for an email address, but some hiring managers will take exception to certain addresses. Avoid using “fun” email addresses such as “hotstuff2016@yahoo.com.” Instead, use some version of your name. An address such as flgrossman19114@gmail.com (not my real email address), where 19114 is my zip code, should work. I would not use flgrossman1957@gmail.com or flgrossman111457@gmail.com because those give away my age—you don’t have to be a cryptanalyst to recognize the numbers represent my birthday. Many employment specialists, coaches, and employment program directors have also expressed concern to me about what email domains job-seekers choose. Gmail seems to be the most widely accepted service right now. Some believe that using an AOL email address suggests that we are older because AOL was popular in the late 1990s. Yahoo email addresses present another problem. Certain servers, I’ve found, reject email from Yahoo for technical reasons. Employment specialists and coaches have also told me that Yahoo may signify a lack of seriousness to employers. Yahoo! Email addresses, on the other hand, are easy to create, and easy to use. Use a Gmail account for your job search, if possible. Next week, another domain may be popular, though. Some of us have LinkedIn profiles, or some other e-portfolio Web site that offer additional information to potential employers. Again, make sure the address, and the site content, are appropriate for your job target. Don’t put your site for jigsaw puzzle enthusiasts on your résumé, for example, unless you are applying to work at a board came company. Use a shortened “vanity” LinkedIn address, or a “Tiny URL” for your link, to keep it short. Build an Outline for Your Résumé. We’re ready to start filling the page, but we’re not going to plunge in and fill the page from top-to-bottom with details. Instead, we’ll build an outline the way we were taught to outline an essay or paper in English class. Outlining was a lot of work when many of us were in school. We had to write our major headings on one page, then fill in our minor topic headings on another. Often we had to use yet a third page to fill in our topic paragraphs, then start writing the first draft of our paper or essay on a fourth page. Most of us gave up or ran out of time, then wrote our paper from the top down with disappointing results. Fortunately, outlining became much easier with the advent of word processors. We need only type in our headings, then gradually fill information in under each heading. We can even skip a heading and come back to it later. Now, We’ll Start Filling in the Details.